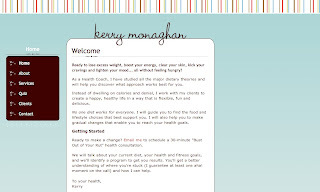 Kerry Monaghan is a certified Health Coach who helps women upgrade their diet and lifestyle, lose weight, resolve emotional eating issues and reduce stress - without going hungry or giving up their social life. Kerry originally came to us as a copywriter, and we designed the website around her offerings to clients. 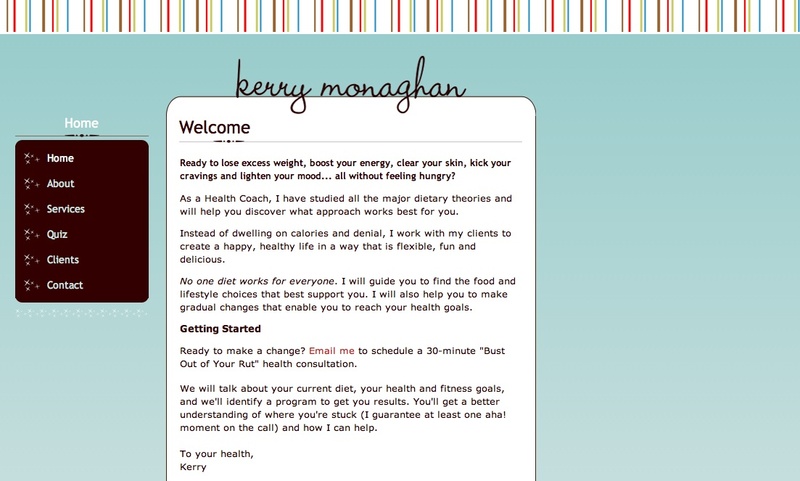 Kerry was also a certified Health Coach, and was using a different website for that. She has since revamped this website to represent her Health Coach business - all on her own. The visual look remained the same, and she was able to change all of the content and left navigation on her own. Yay for that empowerment! We love giving clients the ability to work without us.